ADDED: Alrenous suggests (in the thread below) — Dark Enlightenment. You just don’t want to know. ‘Know’ is definitely superior from a technical point of view, but I’m still caught up in the quasi-cinematic drama of media sensationalism. Extremely cliched, but: Dark Enlightenment. You just don’t want to know. Tall, White Caucasian Male wearing Sunglasses…. Neoreaction: You can’t bear to see this. I like the ‘this’ construction, even though the referent is tortured. Extracted, it’s ‘can’t bear to see, in the sense of understanding, the things which I, the wearer of this pro-reactionary T-shirt, profess.’ I think liking that may prove that I’m weird. How about just: Dark Enlightenment – Ssshh! Deep pockets and Bilderberg Group connections and NR is still (commendably) flogging T-Shirts on the market? When is NBS going to start bankrolling us with his haul of BTC donations? Admin spends all those monies on adjectives. (I thought it was a sensitive condition so didn’t want to ask). No way a chick would wear “You really don’t want to see this” across her breasts. Damn… I forgot how creepy xenosystems smileys were… (my apologies). No worries, I suppose, I only felt creeped out when you spelled out how creepy the smiley is! Dark Enlightenment – Ssshh! is actually my favourite, if only because it makes me think of Old Nick doing this: http://sovposters.ru//2010/2/10/56909rm_19_381.jpg except looking very mischievous. It’s corny, but it’s also genuinely funny and is just an appropriate gesture/expression (if Ssshh! is an expression at all). 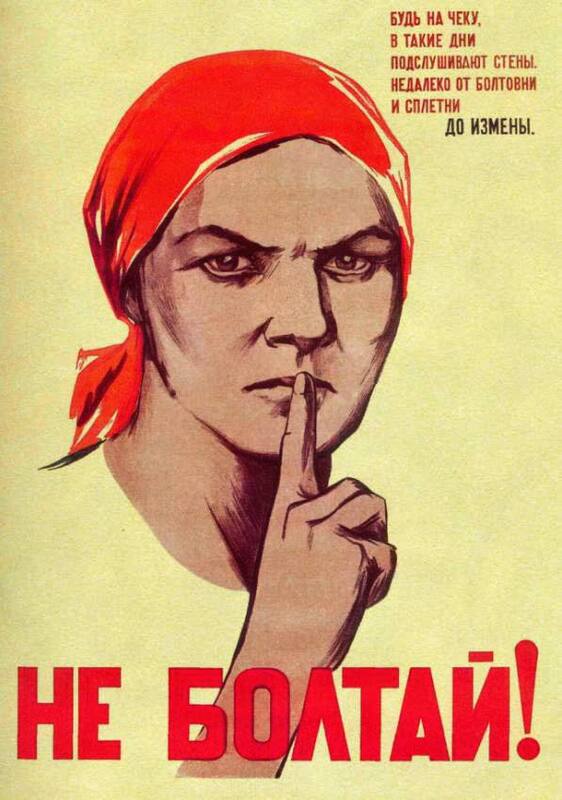 “Ssshh if you don’t know about us – good luck staying in the dark!” (or whatever). It’s smug (you’re a smug bunch, not that there’s anything necessarily wrong with that), it’s conspiracy-theorish, and it’s a tease as much as an order to shut up. I wouldn’t mind T-shirts with various Moldbug quotes. Indeed; nothing can possibly stop it. The Dark Enlightenment: We reject your reality and substitute our own. I’d wear a black Neoreaction shirt with “The Old Ones were, the Old Ones are, and the Old Ones shall be again” and a smiley Cthulhu wearing a crown on it. Re: “You don’t want to see this” vs “You really don’t want to see this”. You always want to choose the message with stronger emotion tied to it whenever that message is concise enough. That is to say, go with “really don’t want to see this” in the choice between these two. However, when you can say nearly the same thing in fewer words which are even more powerful, why not do that instead? Try these on for size…. “Anarchist Workers” — got to love their sense of humor.